If you want to make money online, then first of all you need to understand the logic about Wordpress Blog. What is Wordpress Blog? How you can earn money through this? How you create a wordpress blog? Is it expensive to earn money online? So on. There are so many questions like these which move in your mind when you want to make money online. 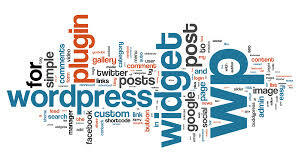 We are trying to solve all your queries related to make money online with Wordpress blog. First of all you have to understand what is Wordpress? Wordpress is a powerful tool and free blogging script. It is so simple and user friendly having robust features. How you can make Money through Wordpress? When you have work with your creative mind then nobody stops you to earn money through Wordpress Blogging. Blogging can provide you golden chance to earn money online. If your blog is efficient, to the point and impressive to which traffic had to stay on it, then no one stop you to earn money. This is the first and most important step to make money and run your business. The installation of Wordpress is so easy. If you have a hosting plan then installation is so easy. If you don't have then you have to open Control Panel in your PC and select Quick Install option. After click all the options in end accept the agreement and install Wordpress. The second most important step to make money is to install a theme which suits according to your Wordpress. There are so many themes by which you can make more money but the most important and impressive theme is Responsive Theme. This theme has an advantage that it can create a size fit according to your website as your PCs, MAC, Iphones, Tabs etc. As you incomplete without your name like that a business/a blog/a website is incomplete without a logo. You must have your own identity with you when you start something new. It is very simple. With your creative mind make a logo which you want to be and text it at create new image. After making that image, insert it on your Wordpress dashboard. Note: Make sure the image you are adding is a PNG image so that its look transparent on background. After all these things, a most important step by which you can earn more money as you want too is that adding social sites like YouTube , Facebook, Twitter widgets on your Wordpress Dashboard. How Facebook add as a widget? Here is a question that how these widgets can be added. The answer is so simple. After going to dashboard, you have to go to appearance and then select your choice of widget. If you want to add Facebook as widget then simply then go to plug-in, type their “Facebook Subscribe”. After that install that widget and publish it. So, these are the simple but impressive steps to make money with Wordpress Blogging. For more queries related to this: feel free to ask us.